DNA is often called the 'blueprint of life', and the DNA blueprint remains in every living cell and continues to provide information about how the cell must function. It does this by controlling the proteins that are made within cells and the blueprint is passed to every new cell that forms. Junk DNA, as it's popularly known, is the part of our DNA which does not code for proteins, and researchers believe this is where we harness our latent PSI Abilities such as Clairvoyance (Clear Vision), Telekinesis, Teleportation, Claircognizance (Prophetic Knowing), Telepathy, Clairaudience (Clear Hearing) and Clairsentience (Clear Sense). DNA activation is ultimately a matter of gradually building one's own multi-dimensional awareness and abilities through one's own efforts. It is a journey towards wholeness and higher frequency attunement that becomes a reality only when individuals have become autonomous and self-empowered. DNA is more than a genetic blueprint; it is the instrument by which man discovers his spirituality. The goal of all religious disciplines is the achievement of a spiritual state described as being “at one with God.” The word “at-one-ment” can be seen as such a state, an at-one-ness with a divine or sacred source. In essence, spirituality is Divine Resonance, the ability through various practices to arrive at a coherent state in which the individual becomes whole. What are the dynamics of this coherent state? According to Dr. Len Horowitz in DNA: Pirates of the Sacred Spiral (Sandpoint, Idaho: Tetrahedron Publishing Group, 2008), DNA is more than a blueprint for genetic expression; it is the “instrument for the re-spiritualization of the body,” the means by which man arrives at Divine Resonance through electromagnetic influences on form and sound activated coherence. Research shows that form follows electromagnetic frequencies. Electrodynamic fields, bio-fields and pulsed wave patterns influence structure. These electromagnetic influences on form define health and illness. Health occurs when the body experiences a coherent state of balanced electromagnetic flow. Disease is defined by dissonance, when the body experiences imbalance in its bio-field. It is DNA that functions as the receiver and transmitter of electromagnetic frequencies through the body. Man’s ability to achieve Divine Resonance is located in the hydro-energetic matrix of DNA, where the body’s highest concentration of water molecules is found. These water molecules are the source of the organism’s coherence. Water that is structured and coherent is conditioned by electromagnetic and acoustics fields in the range of the Schumann Resonances (global electromagnetic resonances). Coherent water in the DNA vibrates at resonant frequencies that can rebalance cell structures in the body. Stress and disharmonic signals from the electromagnetic field alter the profile of DNA and predispose the body to illness. The incoherent state (illness) of the body can be rebalanced in the DNA through sound. A Russian team of researchers, under Pjotr Garjajev, has shown that DNA activation occurs by words and sounds, a regular grammar with rules similar to human languages. In fact, they have shown that DNA in living tissue responds to “language-modulated laser beams and radio waves.” They also tested devices that could affect cellular metabolism through “modulated radio and light frequencies.” Sound activated coherence has been demonstrated in the physical world. Success in these experiments has led to new treatment modalities that can sonically repair X-ray damaged chromosomes. Divine Resonance is accessed through a variety of practices that return the body to its coherent state. These practices may take the form of deliberate stillness, such as meditation, prayer, dreamwork, methodical development of psychic power and psychic energy and various modalities of healing using sound and therapeutic touch. It can also take the active form of physical exercises like running which, with its rhythmic breathing and pace, often synchronizes the body’s biofield with resonant frequencies. So can creative endeavours that are absorbing enough to become self-transcending. The spirituality of the coherent state is being alive and attuned to the healing and resonant power of one’s DNA. Now, more than ever, man can attest to the Divinity within him. The spirituality of modern man resides in his ability to control the profile of his DNA through practices that can restore him to the coherent state of Divine Resonance. Recent discoveries in the nature of DNA have overthrown the idea that man is genetically fixed. The Human Genome Project has uncovered two interesting facts about human genes: a) man has 30,000 genes( only 300 more than a mouse) in the human DNA; b) only 10% of the human DNA is used for coding and reproduction of proteins; the rest –approximately 90%-- is known as junk DNA which scientists have considered garbled and redundant. However, the Russian Branch of the Human Genome Project , headed by renowned Dr. Pjotr Garjajev, has uncovered the linguistic and psychic capabilities of junk DNA, ushering in a re-evaluation of the human gene in terms of words, wave genetics and a grammar of spirituality. According to the findings of the Russian Scientists, the genetic code follows the same rules found in human languages. By modulating certain frequency sound patterns on a laser ray, they are able to influence DNA frequency and genetic information. The most interesting aspect of their discovery is that simple words and phrases can work just as well as laser beams. Man can literally reprogram his genetic blueprint through words--which explains why affirmations and hypnosis can have powerful effects on mind and body. 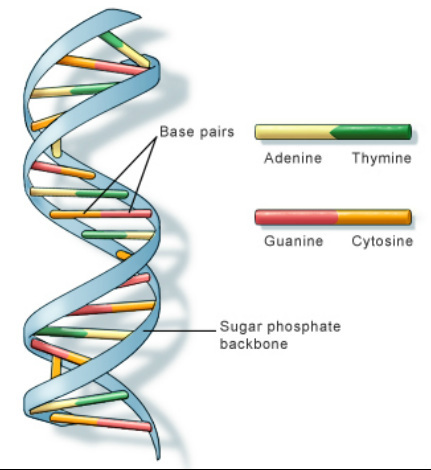 The Phantom DNA effect is a case in point: the energy field of a DNA sample remains detectable by laser light even when the physical sample is removed. At a fundamental level, man is pure energy. In Wave Genetics, the junk DNA functions at a rich infrastructure level of super codes and wave communication, realized in material form as crystalline structures—dynamic gene-holograms in liquid crystals of the chromosome continuum. What this model suggests is that the human gene is part of larger holograms (multiverse) of wave information reality [multidimensional/quantum - Messenger Spirit]. Hyper-communication, in the form of remote sensing, remote healing and telepathy, is definitely a part of the human protocol. Is it possible that the linguistic structures of the human genome point to a form of universal speech, a grammar of spirituality? William A Tiller in Psychoenergetic Science: A Second Copernican-Scale Revolution (Walnut Creek, CA: Pavior Publishing, 2007) certainly thinks so. Man, he explains, is composed of a personality body self and a “rich infrastructure ...in subtle bodies” that lead to “greater human performance and expanded capabilities”. The purpose of life is building this infrastructure into a grammar of spirituality. Michael Cremo in Human Devolution: a Vedic Alternative to Darwin's Theory (Badger, CA: Torchlight Publishing, 2003) claims that man originated billions of years ago in waves of consciousness, but has “devolved” into an ego-driven modern counterpart, alienated from the group consciousness and spirituality of his ancestors. Group consciousness can bring about the healing of the earth. If weather can be influenced by Schumann’s frequencies, then man, who is capable of resonating at these frequencies, can, through group consciousness, bring about changes that will dissolve violence and restore earth to its natural balance. The Russian Discoveries in DNA changes are timely; the whole world, it seems, is poised to recover a forgotten Linguistic Paradigm. Could you sum up your book 'The Cosmic Serpent : DNA and the Origins of Knowledge'? Research indicates that shamans access an intelligence, which they say is nature's, and which gives them information that has stunning correspondences with molecular biology. Your hypothesis of a hidden intelligence contained within the DNA of all living things is interesting. What is this intelligence? Intelligence comes from the Latin inter-legere, to choose between. There seems to be a capacity to make choices operating inside each cell in our body, down to the level of individual proteins and enzymes. DNA itself is a kind of "text" that functions through a coding system called "genetic code," which is strikingly similar to codes used by human beings. Some enzymes edit the RNA transcript of the DNA text and add new letters to it; any error made during this editing can be fatal to the entire organism; so these enzymes are consistently making the right choices; if they don't, something often goes wrong leading to cancer and other diseases. Cells send one another signals, in the form of proteins and molecules. These signals mean: divide, or don't divide, move, or don't move, kill yourself, or stay alive. Any one cell is listening to hundreds of signals at the same time, and has to integrate them and decide what to do. How this intelligence operates is the question. DNA has essentially maintained its structure for 3.5 billion years. What role does DNA play in our evolution? DNA is a single molecule with a double helix structure; it is two complementary versions of the same "text" wrapped around each other; this allows it to unwind and make copies of itself: twins! This twinning mechanism is at the heart of life since it began. Without it, one cell could not become two, and life would not exist. And, from one generation to the next, the DNA text can also be modified, so it allows both constancy and transformation. This means that beings can be the same and not the same. One of the mysteries is what drives the changes in the DNA text in evolution. DNA has apparently been around for billions of years in its current form in virtually all forms of life. The old theory—random accumulation of errors combined with natural selection—does not fully explain the data currently generated by genome sequencing. The question is wide open. The structure of DNA as we know it is made up of letters and thus has a specific text and language. You could say our bodies are made up of language, yet we assume that speech arises from the mind. How do we access this hidden language? By studying it. There are several roads to knowledge, including science and shamanism. The symbol of the Cosmic Serpent, the snake, is a central theme in your story, and in your research you discover that the snake forms a major part of the symbology across most of the world’s traditions and religions. Why is there such a consistent system of natural symbols in the world? Is the world inherently symbolic? You write of how the ideology of "rational" science, deterministic thought, is and has been quite limiting in its approach to new and alternative scientific theories; it is assumed that "mystery is the enemy". In your book you describe how you had to suspend your judgement, to "defocalize", and in this way gain a deeper insight. Why do you think we are often limited in our rational, linear thought and why are so few willing and able to cross these boundaries? I don't believe we are. People spend hours each day thinking non-rationally. Our emotional brain treats all the information we receive before our neo-cortex does. Scientists are forever making discoveries as they daydream, take a bath, go for a run, lay in bed, and so on. What are the correspondences between the Peruvian shamans’ findings and microbiology? Do you think there is not only an intelligence based in our DNA but a consciousness as well? I think we should attend to the words we use. "Consciousness" carries different baggage than "intelligence." Many would define human consciousness as different from, say, animal consciousness, because humans are conscious of being conscious. But how do we know that dolphins don't think about being dolphins? I do not know whether there is a "consciousness" inside our cells; for now, the question seems out of reach; we have a hard enough time understanding our own consciousness - though we use it most of the time. I propose the concept of "intelligence" to describe what proteins and cells do, simply because it makes the data more comprehensible. This concept will require at least a decade or two for biologists to consider and test. Then, we might be able to move along and consider the idea of a "cellular consciousness." The implications of some of your findings in The Cosmic Serpent could be quite large. How do you feel about the book and what it says? Why did you write the book? I wrote the book because I felt that certain things needed saying. Writing a book is like sending out a message in a bottle: sometimes one gets replies. Judging from the responses, a surprising number of people have got the message loud and clear. How can shamanism complement modern science? Most definitions of "science" revolve around the testing of hypotheses. Claude Levi-Strauss showed in his book The Savage Mind that human beings have been carefully observing nature and endlessly testing hypotheses for at least ten thousand years. This is how animals and plants were domesticated. Civilization rests on millennia of Neolithic science. I think the science of shamans can complement modern science by helping make sense of the data it generates. Shamanism is like a reverse camera relative to modern science. The shamans were very spiritual people. Has any of this affected you? What is spiritual in your life? I don't use the word "spiritual" to think about my life. I spend my time promoting land titling projects and bilingual education for indigenous people, and thinking about how to move knowledge forward and how to open up understanding between people. I also spend time with my children, and with children in my community (as a soccer coach); and I look after the plants in my garden, without using pesticides and so on. But I do this because I think it needs doing, and because it's all I can do, but not because it's "spiritual". The message I got from shamans was: do what you can for those around you (including plants and animals), but don't make a big deal of it.